Meg is using Smore newsletters to spread the word online. 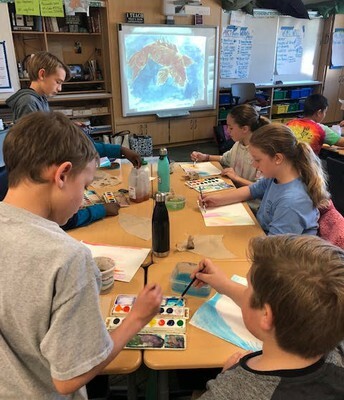 In conjunction with Engaging Creating Minds, fifth grade students at Jennie Moore Elementary School have been working with Heal With HeARTS as part of a memoir and painting project. 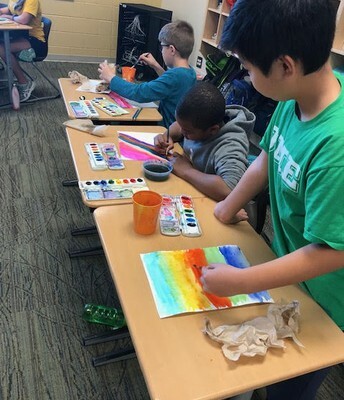 The art portion of the project enabled students to engage principles of design ( balance, rhythm, emphasis, movement, pattern, unity), art elements ( line, shape, color, contrast, texture), watercolor techniques, and color theory. 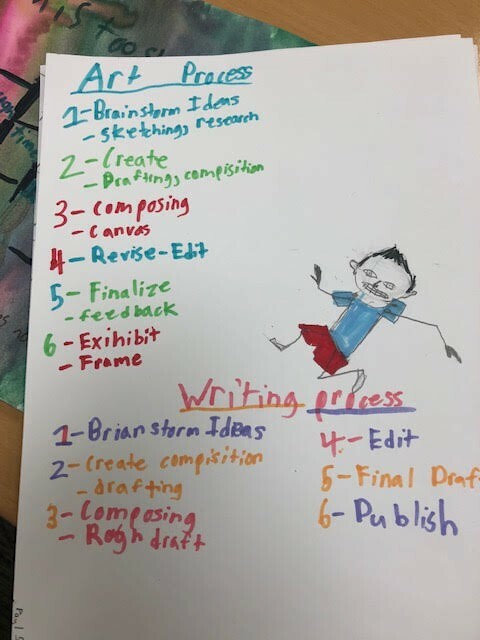 The writing process gave students an opportunity to engage proverbs, idioms, figurative language, imagery, simile, metaphor, onomatopoeia, and personification. Over 200 students took part in the project, and their work will be displayed beginning the weekend of December 22. 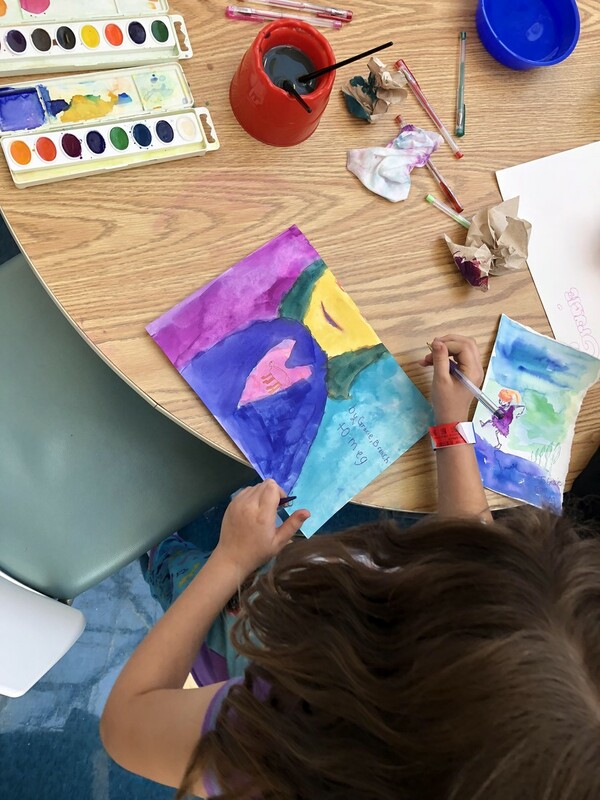 Heal With HeARTS is excited for the opportunity to engage Medical University of South Carolina Children's Hospital patients through its Arts in Medicine project. With support from our team, children have created self portraits of themselves as super heroes. The activity demonstrates the strength and courage of these children, as well as the determination of the parents to stay strong and positive. This program is community funded and continues to allow Heal With HeARTS to bring art and music to support the emotional needs of children and their families during their stressful time at MUSC. 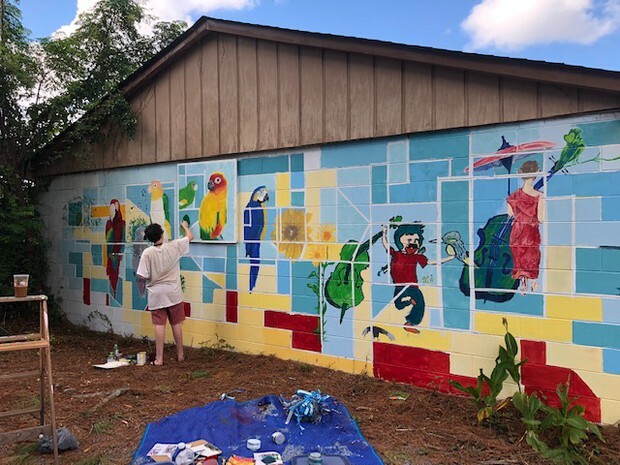 Local AP Art students have spent the late summer and fall as part of the HWH sponsored program They have had the opportunity to participate in the creation of a mural at the Hungry Monks Music studio, and the artwork that adorns the outside wall continues to evolve. 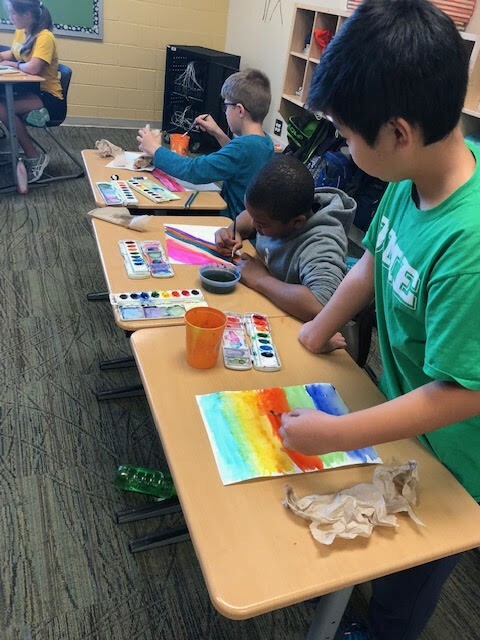 Students are working on projects to enhance their portfolios and strengthen their drawing, as well as 2-D and 3-D design skills. 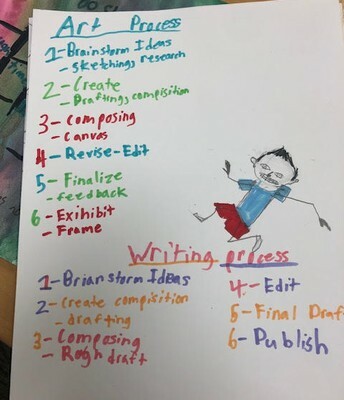 They will submit their art portfolio to the College Board for college credit. 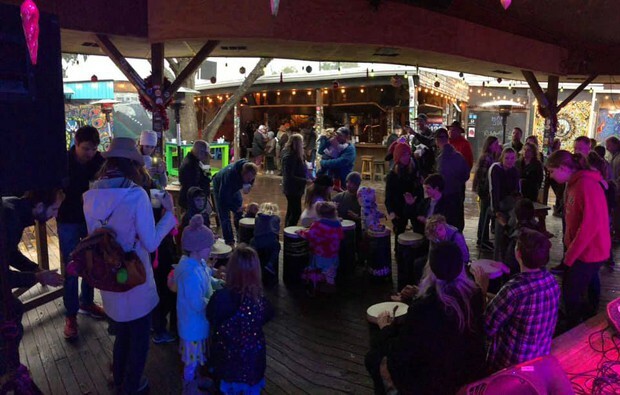 Despite a wet and cold Saturday, Heal With HeARTS and The Hungry Monks had a stellar turn-out for The Beatles for Kids and Kids Drum Circle event at Charleston Pour House on December 8. The festivities not only included the monthly drum circle, but a set of music by The Beatles performed by The Hungry Monks for those in attendance. Participants also had the opportunity to create their own paintings. 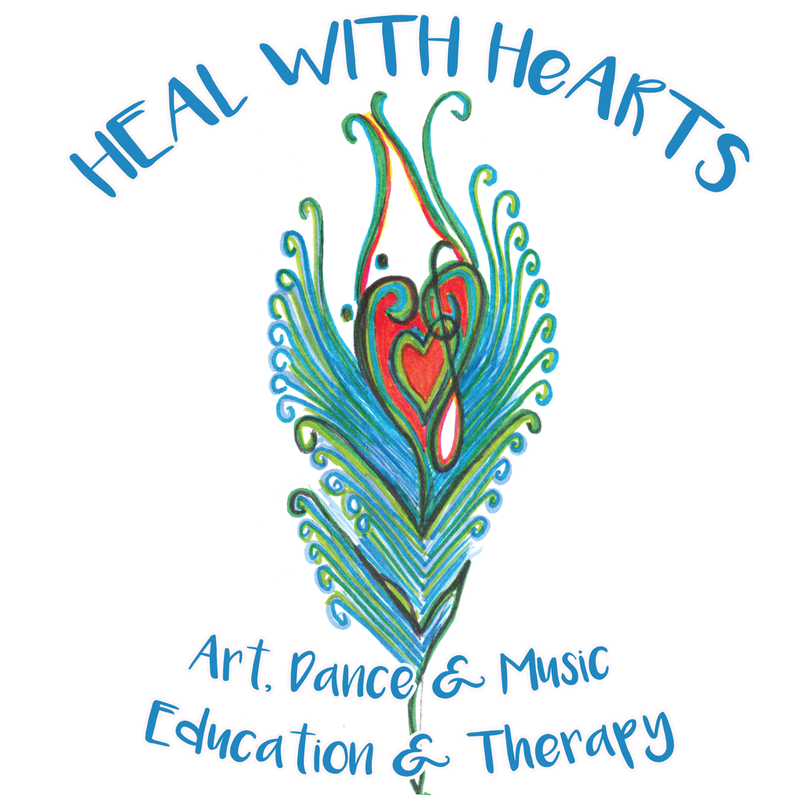 Heal With HeARTS is proud to be named a recipient of the Operating Support for Small Organizations (OSS) grant from the South Carolina Arts Commission for fiscal year 2019. 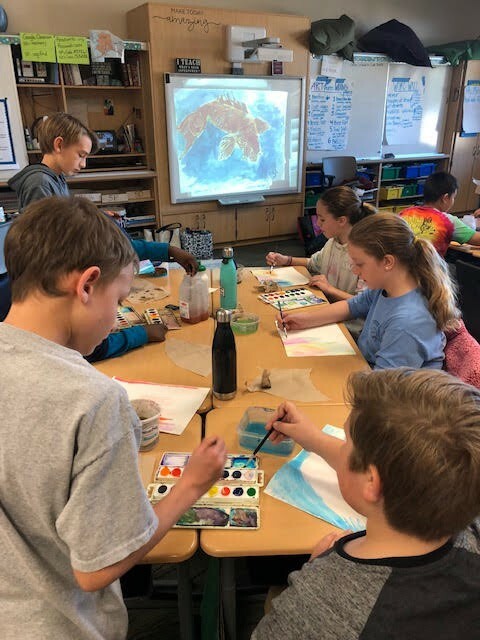 OSS grants are intended to support the operational expenses of arts organizations and enable them to continue enriching the lives of people throughout the state. 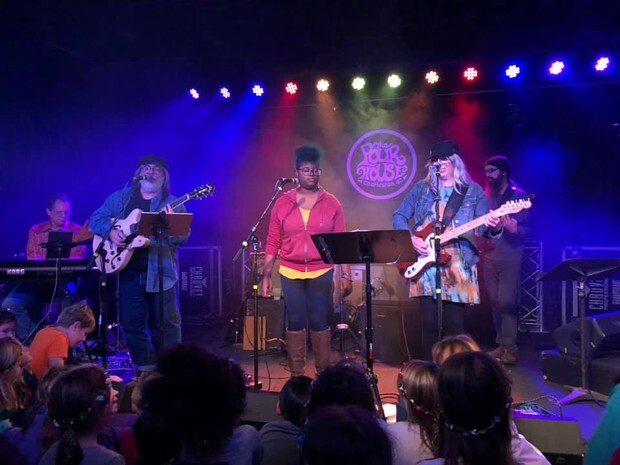 For Heal With HeARTS, this provides funding to support its efforts to bring the arts to children in the Charleston area with difficult economic, social, and physical circumstances. For more information on the SC Arts Commission, visit their website here! If you are in the spirit of giving this holiday season, keep Heal With HeARTS in mind! Heal With HeARTS is a 501c(3) organization that relies on the community support, grant funding and fundraisers to build our programs and reach more students and families. 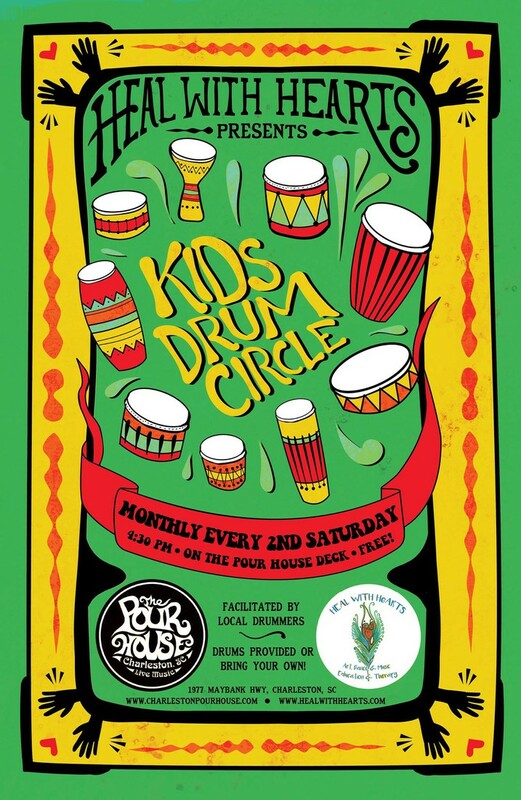 You can sponsor a drum circle, support the MUSC children's art and music therapy sessions or provide art supplies to Charleston stdents. All proceeds will be used fort arts, music education and dance education. Donate by visiting our donations page here! 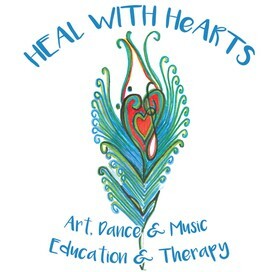 If you have creative ideas for supporting Heal With HeARTS, reach out to Meg Mims to discuss via email here! The mission of Heal With HeARTS is to provide educational projects in the Visual and Performing Arts to children with difficult economic, social, and physical circumstances. Heal With HeARTS has completed projects at a number of local schools, including Charleston Development Academy, Murray-LaSaine Elementary, Mount Zion Elementary, Memminger Elementary, Sanders Clyde Creative Arts School, James Island Elementary, Burns Elementary, Buist Academy, Ladson Elementary, Mitchell Elementary, Haut Gap Middle, Ashley Rivers Creative Arts Elementary, North Charleston Creative Arts Elementary, Academic Magnet High, Charleston County School of the Arts, C.E. Williams Middle School for Creative and Scientific Arts, Jerry Zucker Middle School of Science, James Island Charter High, and Meeting Street Academy. Heal With HeARTS is funded in part by the South Carolina Arts Commission which receives support from the National Endowment of the Arts. Donate To Heal With HeARTS Now!